You'll want a cheerful, well-lighted, well-ventilated room for your Bible Club meetings. The room should be equipped with bulletin boards, a chalkboard or whiteboard, or a screen (or white wall) where you can show computer presentations, tables, and enough chairs for everyone. The elementary department of your Sunday school or kids worship program may have furniture ideal for your needs. Children care, and they appreciate attractive posters and bulletin boards. If you have several boards available for your use, you’re fortunate. If you don’t have a bulletin board you can make one out of fiberboard or cork squares. Edges of fiberboard can be bound with colorful cloth tape or finished off with wood strips. Cork can be purchased in large sheets or small squares and can be painted or left a natural color. Cork squares can be arranged in a variety of patterns or used in blocks to create a large surface. Plain cork or fiberboard bulletin boards are most attractive when covered with paper or burlap for a colorful background. Borders of paper, yarn, or corrugated edging give a finished look. Backgrounds and borders can be changed for the various seasons and holidays. Taping colored paper to a large area on a wall can give the look of a bulletin board without the expense. Use heavy tape to hold up your background. Then simply tape your visuals to the background paper. Or tape a border to the wall to form a large rectangular shape, and tape the visuals directly to the empty wall inside the border. Hang a few All-Stars for Jesus posters in the room and in the hallway to remind the children and visitors of the places and times of your weekly meetings. Take a photo of each child and glue it to his pennant. Hang the pennants around the room and iron the embroidered awards as they are earned. Eye-catching posters can help publicize upcoming parties and Bible club activities. Give your youngsters the chance to make posters and publicity pieces, too. Neatness and imagination are far more important than artistic abilities, but you may be surprised at the abilities your students will display and develop. Invite high school and college students to help you decorate. Tap into the artistic members of your congregation for creative ideas. Posters don’t need to be limited to the traditional sheet of poster board. Use unusual geometric shapes, cut-outs of animals or other objects, mobiles, banners, sandwich boards—anything that will catch the eye and attract attention. You may want to add a few Bible charts, timelines and maps to your meeting rooms for older students. 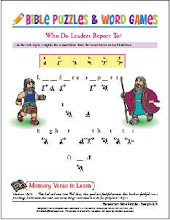 Children will enjoy making charts and posters showing Paul’s journeys, creation, the building of the temple, etc. Create a missionary map for your meeting rooms. Mount a map on fiberboard and place pictures of your church’s missionaries around the border. Run a ribbon from each picture to the country in which that person serves. Be sure to identify each missionary and keep current locations by each picture. Colorful bulletin board trims, cut-outs, borders, and banners can be ordered from eChurchDepot.com. Check out the 50% off decorations section for some great bargains! Here's a fun set that fits the All-Stars for Jesus theme: All-Star Students Set.